After that delightful sleeper train, we rocked up at The Phoenix Hostel, just near People’s Square, for the remainder of our travels together. It was here we met Cherry, our new Shanghai & Chinese bestie who came out with us to explore that afternoon. 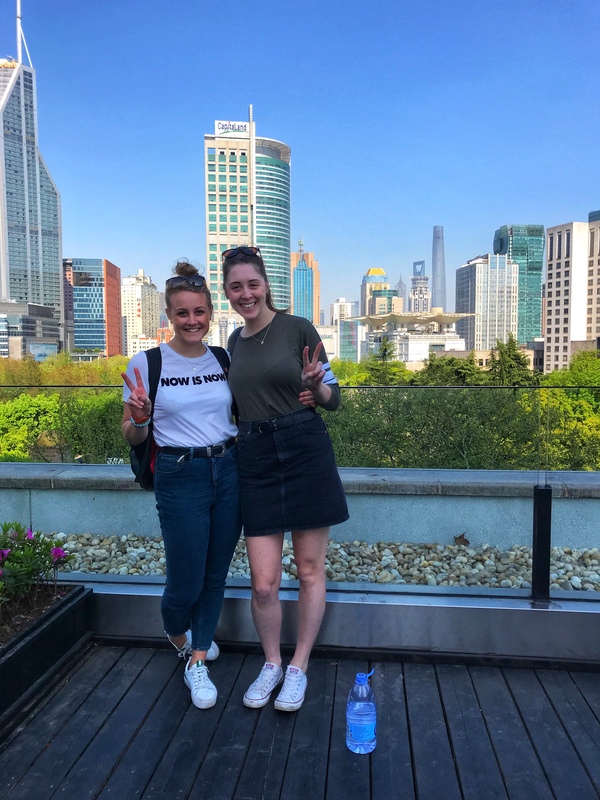 She loves a rooftop photo and we had a look (and photoshoot) overlooking Yùyuán Gardens & Bizarre before heading into the gardens themselves to explore a peaceful part of Shanghai’s busy city centre. 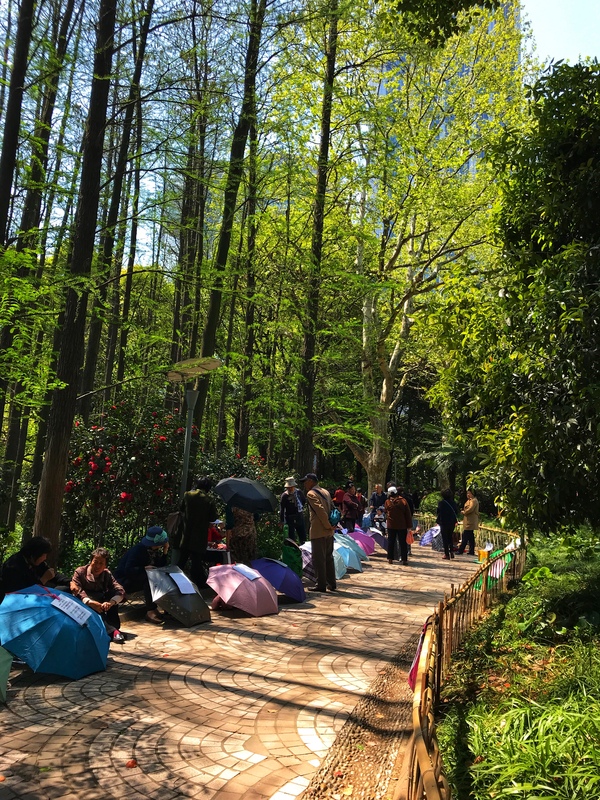 It’s amazing, no matter which city we’re in, as soon as you enter a park there’s always a quiet and peaceful corner – despite how chaotic it might be in the streets. 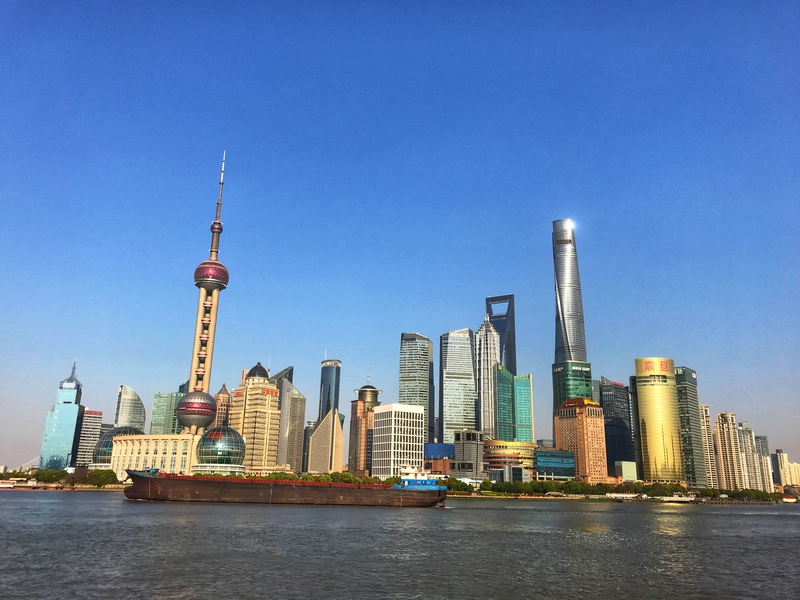 After our garden exploration we headed to the Bund to view that famous Shanghai skyline, and watch the sunset from a rooftop bar just nearby. 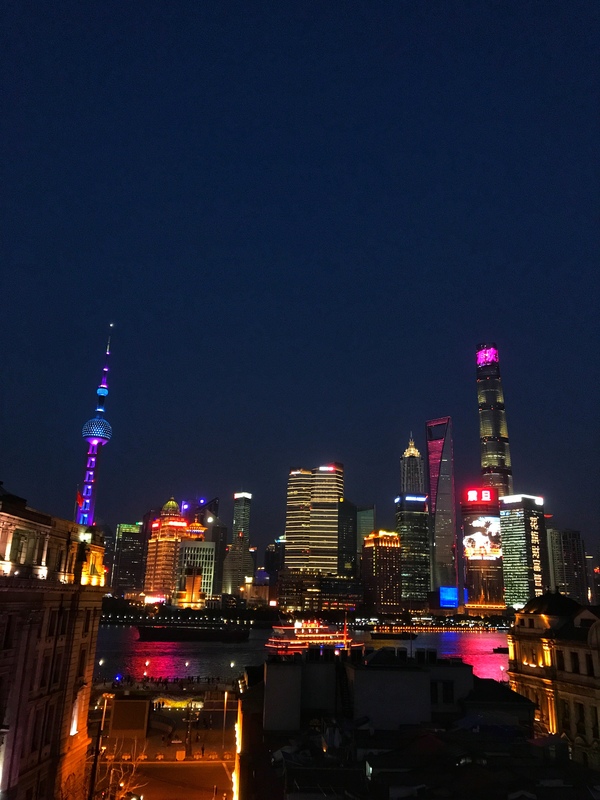 I took about 100 photos of the view as the light changed so look out for a potential future blog post called “one million photos of the Shanghai skyline” hahah! On Sunday, Rach and I headed to People’s Park to see the famous “Marriage Market” – parents rock up with an umbrella and a sign to try and flog their kids off with a husband or wife haha!! It’s crazy how many people / umbrellas were there, with descriptions (but limited photos actually). Rach even caught the eye of a local who asked her for her WeChat QR code, but sadly she declined 😂😭. We then spent a couple of hours exploring the Shanghai History Museum (free entry, right near the people’s Park). It was actually pretty good in there, with a lot of information in English, plus plenty of history about European factors that influenced Shanghai today. For dinner that evening we headed back towards the Bund, Fuzhou Road, the Shanghai Grandmother. I’d eaten here on my very first night in China with the CSC team and loved it. We ordered peanut chicken, garlic spinach, braised pork, rice and some cuttlefish – really delicious and not too expensive considering the location. Our Shanghai party started on Sunday night after a pub quiz with Cherry and some Shanghai friends we’d met along the way. Before you knew it we were in a dive bar called Perry’s cafe boogeying with crowds of locals / students / whoever is able to hang out late on a Sunday haha! Monday was spent wandering around the French Concession, buying cute gifts and chilling in the local parks. 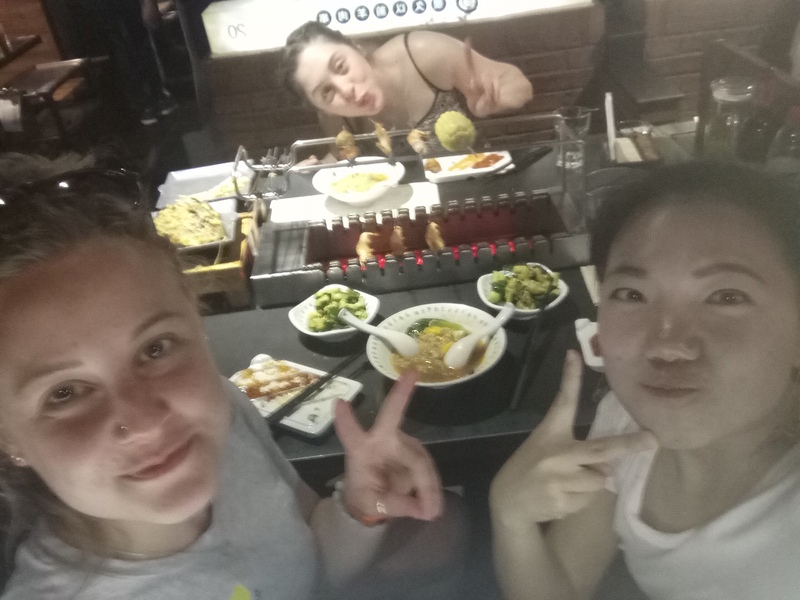 Rach and I had a final dinner with Cherry at a really good underground Korean bbq restaurant; (I need to find the name on my apple maps), it honestly had such amazing service we were really impressed. As we went early evening we didn’t wait for a table but if you had to there were games etc in the upstairs entrance to keep you entertained, plus very nice service in the bathroom. We had pork, chicken, prawns, bamboos, mushrooms and soup for dinner, cooking all the meat on the little rotating bbq in the centre of our table. In the evening I had a couple of beers in Zapatas, a huge amazing outdoor area was home to a few ex pats, and some excitable people on the dance floor early doors. Apparently the bar gets super lively on Wednesdays if you’re about mid week 😃! So sad to see Rach go, packed her off into a DiDi to the airport – there’s never enough time 💔 – then it was time for Hong Kong alllll by myself!